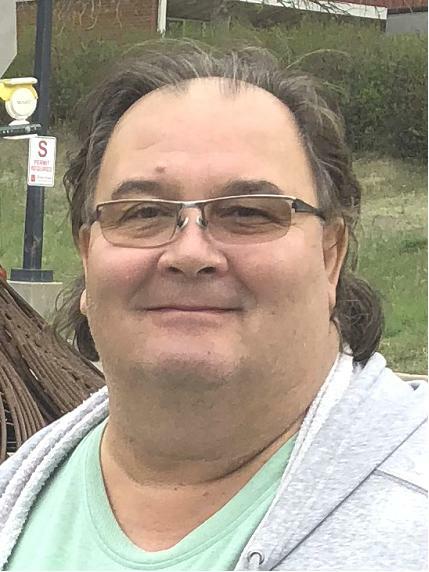 Glen E. Adacsi, late of Weyburn, SK passed away January 18, 2019 at the age of 55 years. Glen was predeceased by his father, Edward Adacsi; father-in-law, Joseph Gaab; sister and brother-in-law: Kathy and Kurt Refvik. Glen will be missed by his loving wife, Joan; his daughters: Cortnee, Ashlee, Britnee and Kylee; his mother, Dorothy Adacsi; sisters: Bonnie (Kevin) Adacsi-Cooke and family: Chantel (Kendall) Oliver [Haelo and Danton] and Cody; Brenda (Clayton) Chappell and family: Shayla and Darby; mother-in-law, Dorothy Gaab; brothers-in-law: Jeff (Tally) Gaab and family: Orrie Gaab (Melissa), Blair (Brenna) Gaab [Flynn], and Fallon Gaab (Branden); Warren (Peggy) Gaab and family: John, Kevin, and Ryan; sister-in-law, Jennifer (Darren) Woodard and family: Chelsea, Megan, and Levi; nephews: Nils and Leif Refvik; brother-in-law, Joel (Carolyn) Gaab and family: Jack and stepson Sam; along with uncles, aunts, cousins, and many friends. Prayers were held Wednesday, January 23, 2019 at 7:00 p.m. from St. Vincent de Paul Roman Catholic Church, Weyburn, SK. A Mass of Christian Burial was held Thursday, January 24, 2019 at 11:00 a.m. from St. Vincent de Paul Roman Catholic Church, Weyburn, SK with Fr. Francis Plaparampil Celebrant. Active Pallbearers were: Clayton Chappell, Blair Gaab, Jeff Gaab, Orrie Gaab, Warren Gaab, Daryl Paslawski, Darren Woodard and Darvin Zimmer. Honorary Pallbearers were all in attendance. Interment was held at Hillcrest Cemetery, Weyburn, SK with luncheon following at McKenna Hall, Weyburn, SK. On behalf of the family, they would like to extend their appreciation for all your acts of kindness shown in thought, word, and deed, as well as attendance at the Funeral Service. For family and friends so wishing, charitable donations in memory of Glen may be made to the Weyburn & District Hospital Foundation, Box 1416, Weyburn, SK, S4H 3J9.